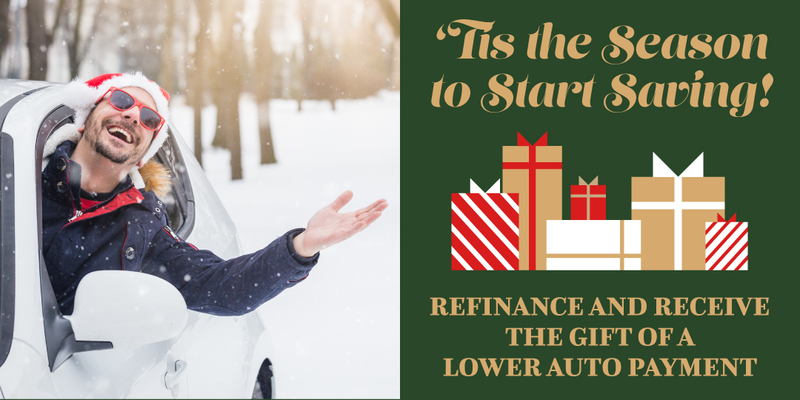 Tis the season to start saving by refinancing your auto loan! Take advantage of our incredible auto loan rates as low as 2.99% APR*. We also have extended terms available up to 84 months. Let us help you save money this holiday season! Just bring a valid TX or state DL, proof of insurance, and your current lienholder information to start the process. Plus, you’ll enjoy the refinance benefits of lower interest rate, reduced monthly payment and pay off your loan sooner. Refinance your auto loan today! &ast;APR is Annual Percentage Rate. Normal credit criteria apply. Rates for approved loans are based on the applicant’s credit history. Stated “rates as low as” apply to well-qualified applicants. Loan term, loan to value (LTV), and/or down payment, for example, may vary based upon your credit history. Other rates and terms available. Restrictions may apply, and rates are subject to change without notice. Talk to a loan officer for details. APRs are effective April 1, 2019 through April 30, 2019. Payment Example: 60 monthly payments of approximately $18.15 per $1,000 borrowed at 3.40% APR. 72-84 month financing requires a minimum $20,000 loan amount.